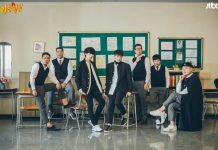 KMazing – If you are an avid follower of K-Variety, it’s impossible not to know Running Man that has been airing for about 9 years now. Starting from the year 2010 until now, the variety show is still standing strong with lots of funny things and strange missions that keep the members of Running Man become one of the most famous entertainers in South Korea. Episode 387 was aired in January 2018 and there are no guest stars on this particular episode. During this episode, the members have to carry out lots of missions in a prison. The discord between the member starts from the crime they did during their opening mission. Located at the Iksan Prison Site, the members have to find a way to reduce their detention period. As usual, the mission usually does not go according to the rules. Lee Kwang Soo, who stole the tofu which So Min made had to receive a water bomb as a punishment in the end. This episode is quite simple but the impact is still greatly there. 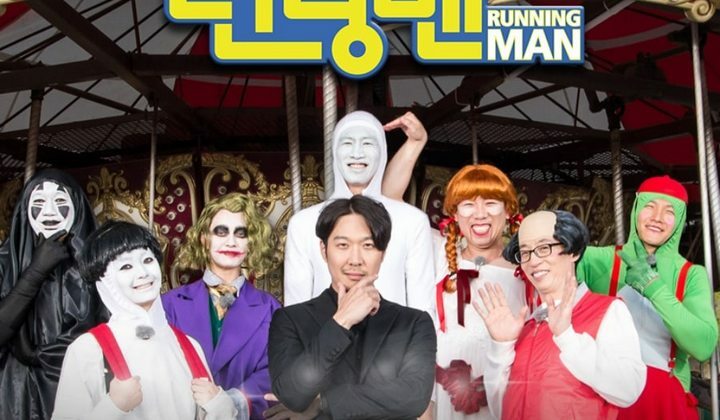 On the episode that air on May 2018, the guest stars who visit the show have got a similar visual feature with the members of Running Man. Cheon Sung-moon, Han Ki-beom, Han Min-Kwan, Jo Woo-jong, Kim Ok-Jeong, K.Will, Lee Jong-hyuk, and Seo Ji-Seok all came as the doppelganger of the member. The mission was easy, the members and their doppelgangers have fight for positions in the event rating notification. This mission had previously been won by Haha in accordance with the storyboard he had made. Episode 409 is my personal favorite. Tho the arrival of lots of beautiful guests such as Bo-ra, Han Eun-Jung, Jennie and Jisoo BLACKPINK, Pyo Ye-jin, and handsome singer Hwang Chi-yeul might be attractive but the mission on this episode is the highlight. The overall mission is a race of couples by finding a pair of hearts which quite simple. But through all the challenges the couple race always ends up with lots of betrayal and this time we got tears from Jennie BLACKPINK. Her act was flippant at most of the time considered very cute and attracted the attention of many viewers. Planning to repeat the success through the previous episode, in this episode, Jennie was invited back together with the beautiful actress Jin Ki Joo. The mission this time relies much on the choice of the unlucky member who joins the power with the lucky ones. The team that wins every game can sketch the ending penalty for the losing team. Once again, Jennie joined the team with Lee Kwang Soo and Yoo Jae Suk, while Jin Ki Joo gets along well with Kim Jong Kook and Haha’s team. The 416 and 417 episodes were aired in September 2018, with lots of guest stars such as Bobby and BI iKON, Kim Ji-min, Lee Elijah, Lee Joo-Yeon, Lee Si-a, Seungri BIGBANG, and Sunmi. Couple race to overturn the debt is the key concept on this episode. The members will have to choose a partner with items that the guest star has picked on first. The overall episode relies much on the interaction of the members with the guests which in my opinion gel so well that it deserves two episodes. Episode 424 was aired in November 2018 with guest stars Ahn Hyo-seop, Seo Young-hee, and Son Na-Eun Apink. The main attraction of this episode is the opening part where the member has to dress in the Halloween concept, and overall the opening part is the best part of the episode and I do think that lots of you guys out there will be on the same page with me on this. The mission on this episode is to find a ghost team and destroy them. Ahn Hyo-seop in this episode is actually on the ghost team but his act including the slipping on the tongue accident made him one of the magnets on this episode. The end of the year episode star idol group Twice is also my favorite. The TWICE members were active in this episode which is the main attraction for me personally. On this episode, the cast and TWICE’s member have to guess which dishes are best eaten with Kimchi based on the results of the age survey. It’s fresh yet simple game once again successfully crafted to attract the viewer. Watch These Top 10 Episodes of Knowing Brothers in 2018 and Get Ready to Laugh!